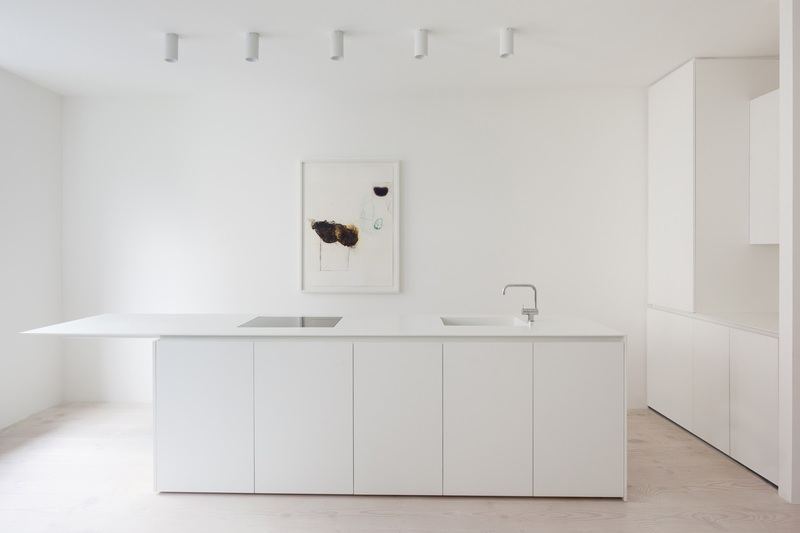 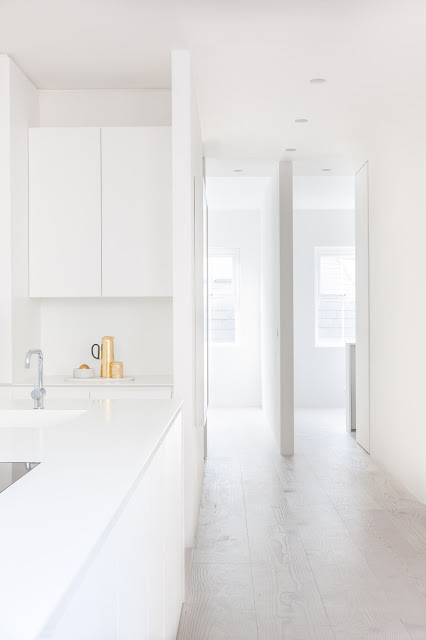 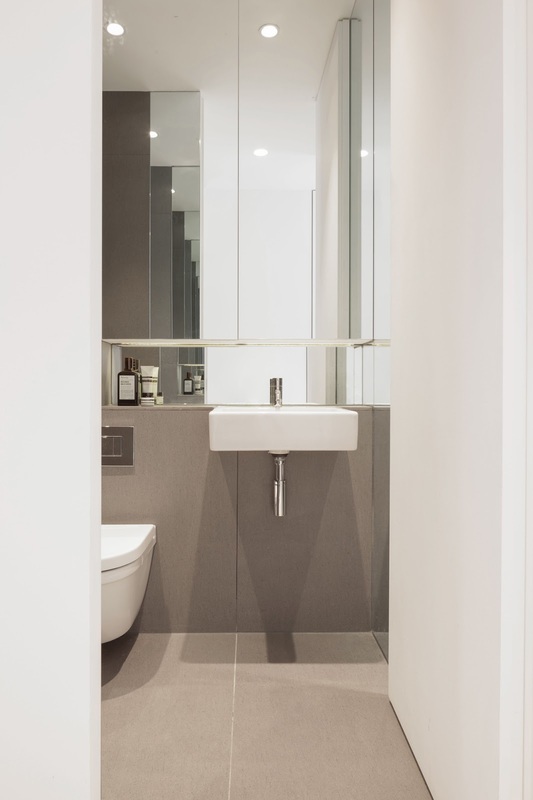 London based HASA Architects designed minimalist Bankside Apartment, a play between simplicity and light with emphasis on the power of clean lines. 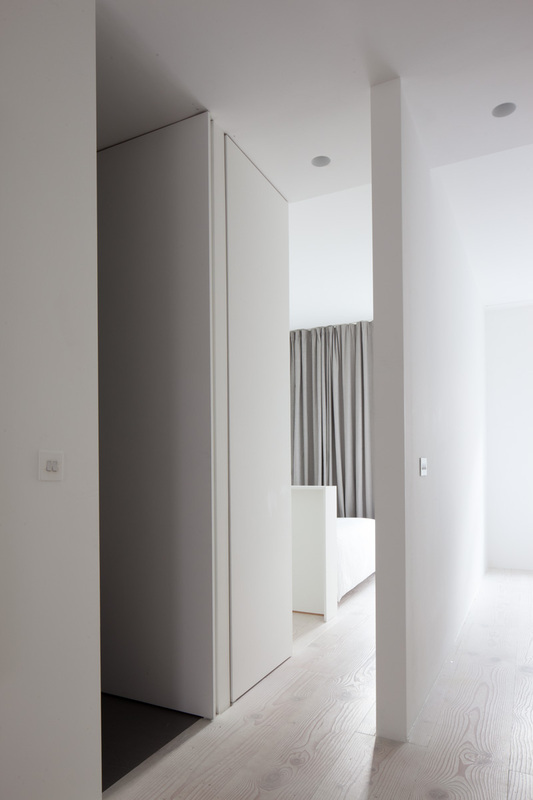 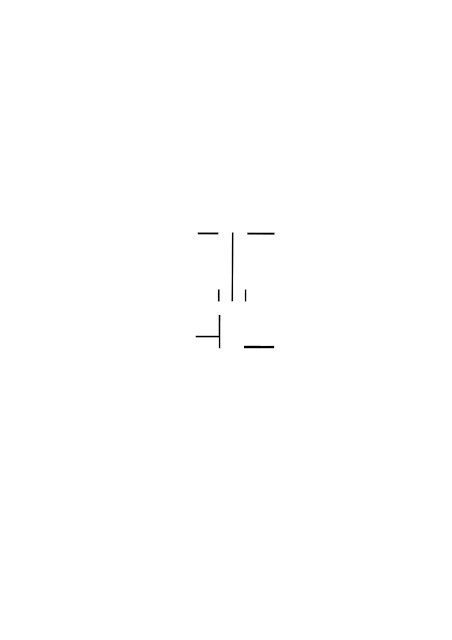 ‘The design is a play between simplicity and light. 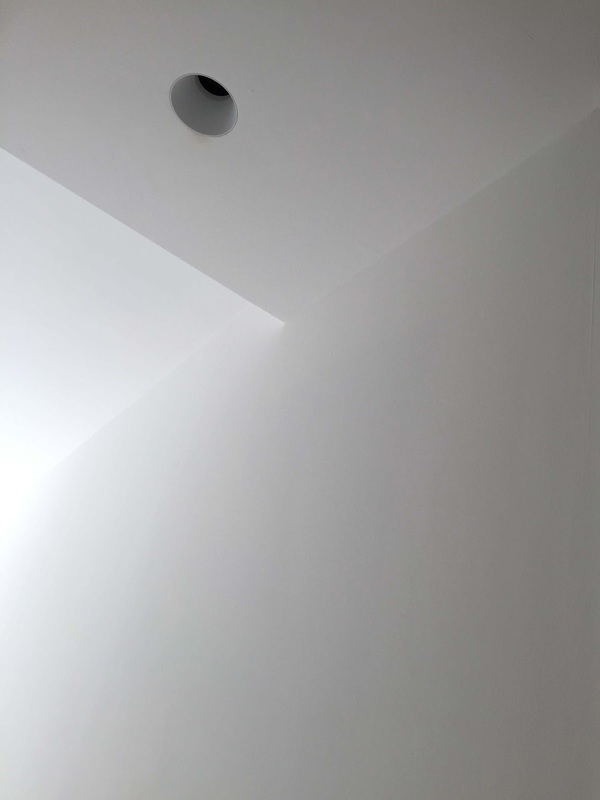 A minimal approach to the furnishing and treatments puts more emphasis on the power of the line. 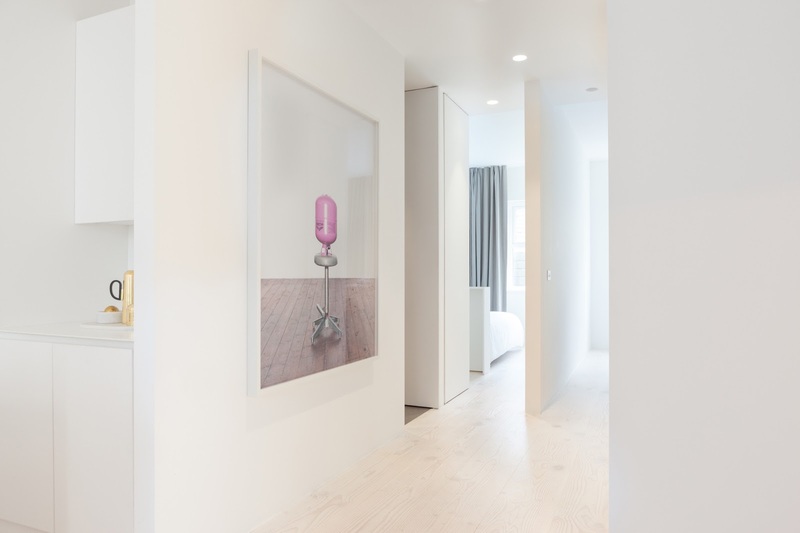 Key volumetric alignments draw the eye to views out the window to the river and financial district beyond. 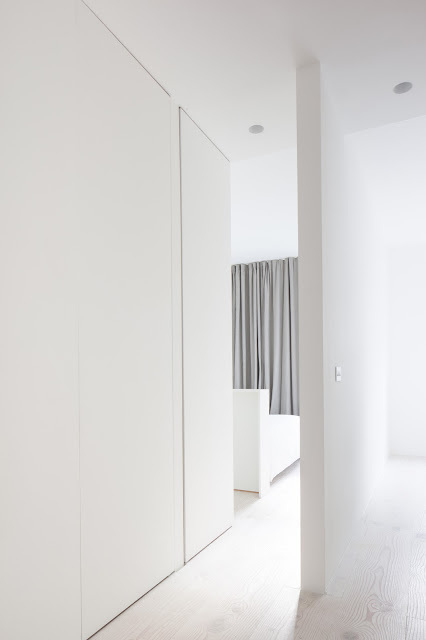 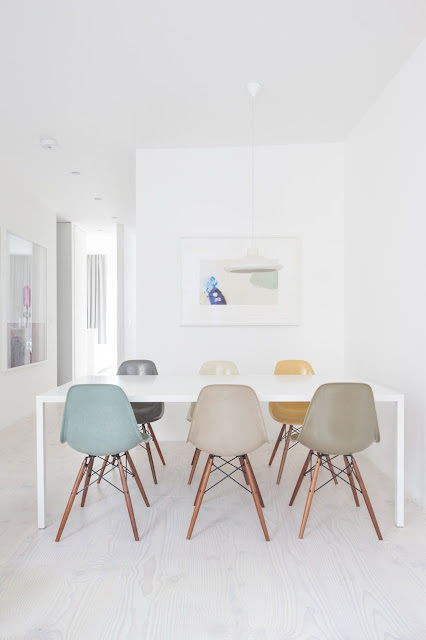 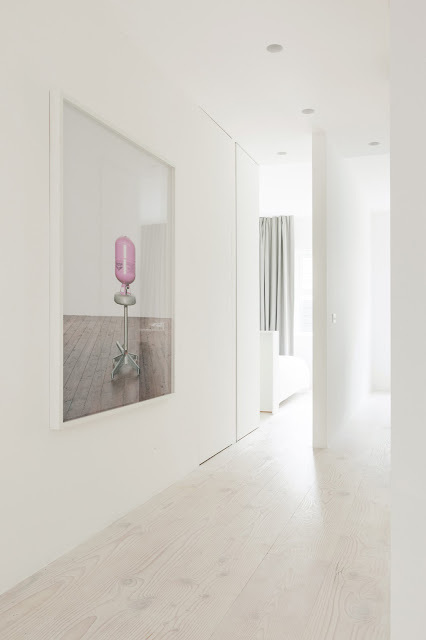 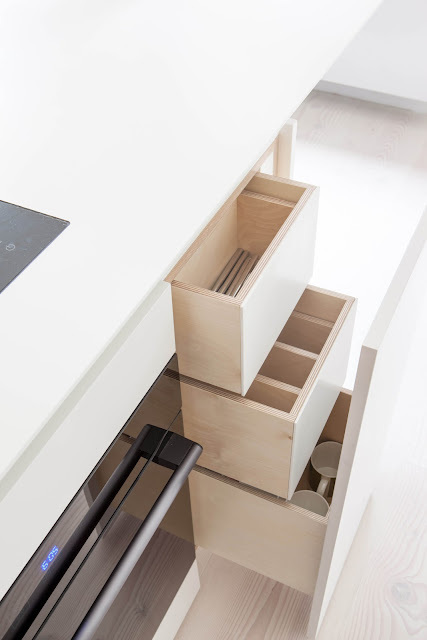 Colour is used sparingly and considerately, ‘lifting’ particular elements of the flat. 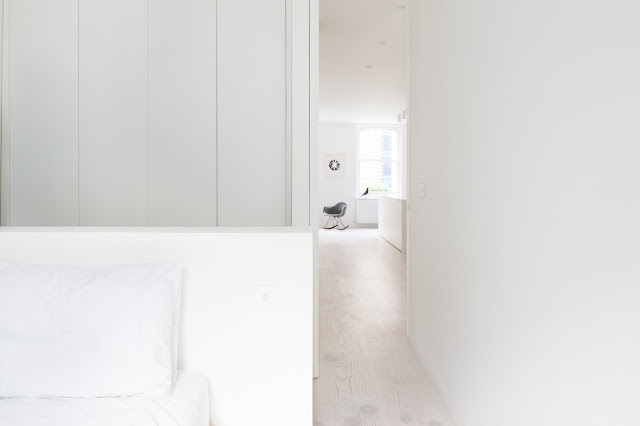 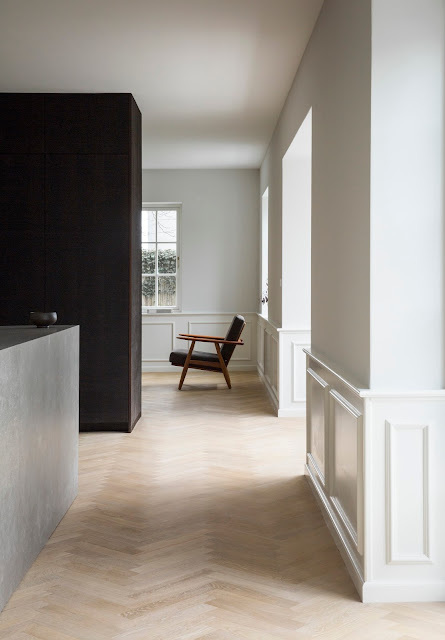 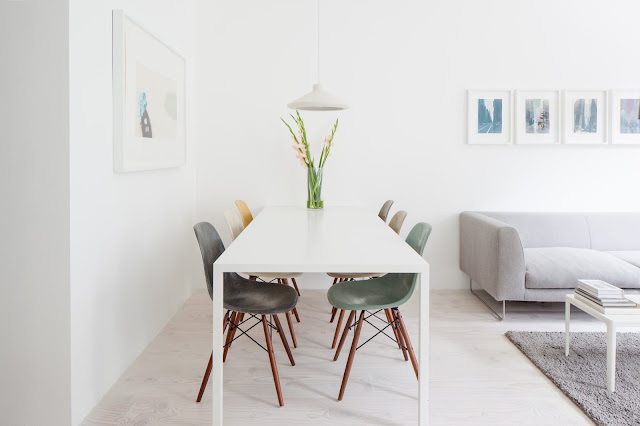 The white interior walls and bleached timber floor create light, generous spaces. 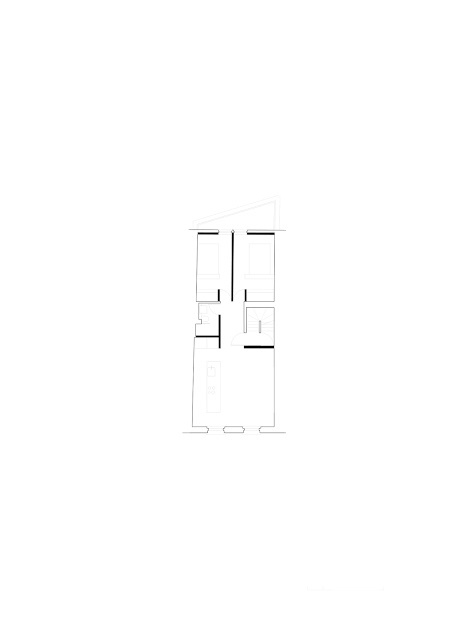 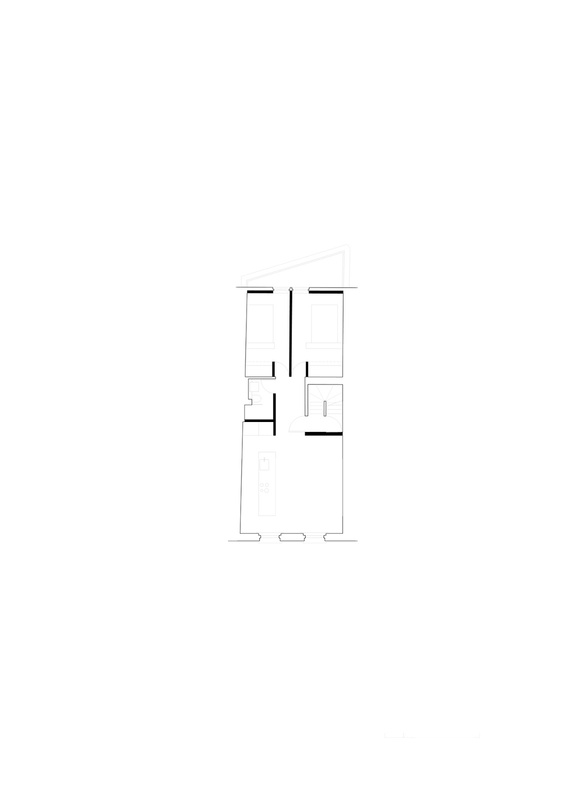 There is a clarity in light and volume which suggests a legible living arrangement, relieving the occupant of any distraction; allowing for calm and meditative spaces.